The amendment to the Smoke-Free Air Act to include e-cigarettes went into effect yesterday. 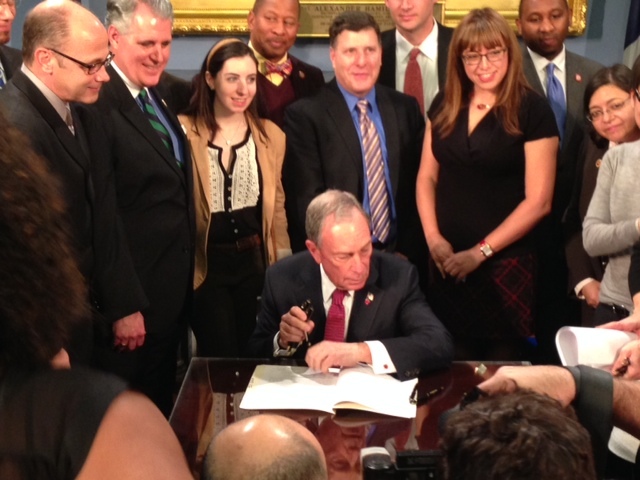 New Yorkers are now able to breathe clean, smoke- and vapor-free air in public places and workplaces. This is another milestone in tobacco control and a huge win for New Yorkers, especially our kids. 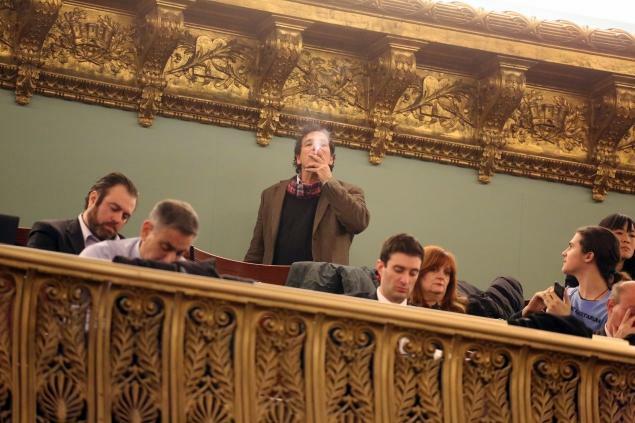 In New York City Council chambers, a e-smoker waits to hear if legislation will pass that will prohibit smoking e-cigarettes at workplaces and indoor public places, such as City Hall. 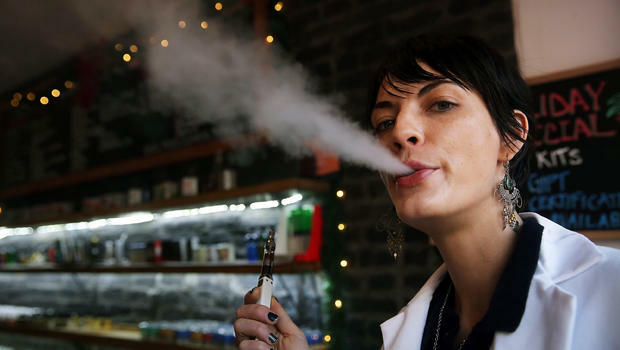 The New York City Council voted overwhelmingly to pass legislation to include electronic cigarettes in the City’s Smoke-Free Air Act which prohibits smoking in indoor public places and workplaces, including bars and restaurants. Unlike nicotine gum and skin patches, electronic cigarettes (e-cigarettes) have not yet been evaluated by the FDA for safety or effectiveness and are currently unregulated. Some studies show that e-cigarettes emit vapor that holds toxic chemicals. A recent study released by the Centers for Disease Control and Prevention found that in one year, from 2011 to 2012, e-cigarette use among middle and high school students more than doubled from 4.7% to 10.0%. I am concerned that this unregulated product will serve as a nicotine starter kit for youth. 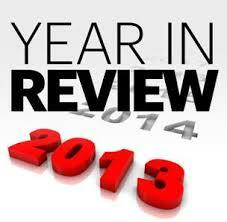 Some studies suggest that e-cigarettes are a “gateway” to smoking traditional tobacco products. 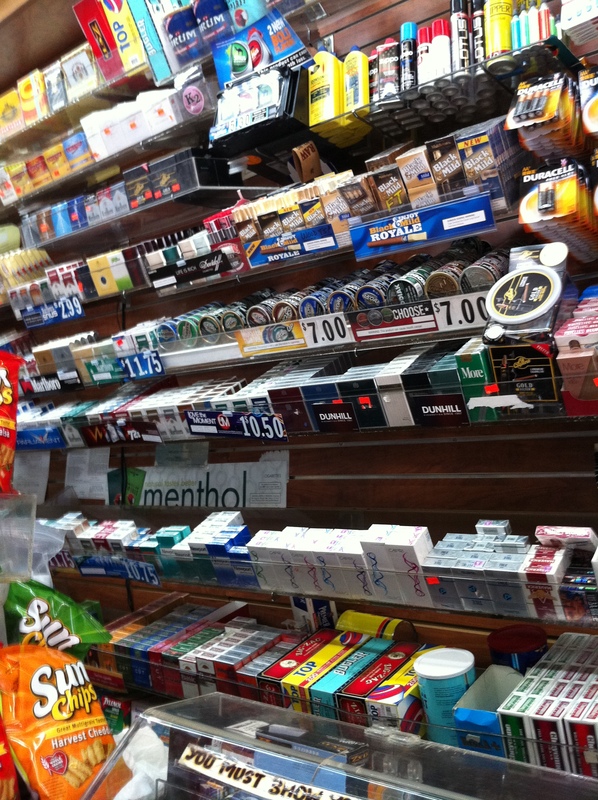 While the NYC Coalition for a Smoke-Free City is awaiting further information from the FDA, one thing is perfectly clear: New York children and teenagers should not be exposed to any products that may encourage addiction. Local and state governments across the country are adding e-cigarettes to their Smoke-Free Air Acts. I commend the New York City Council for taking action that prevents the normalization of smoking of any kind for our young people. 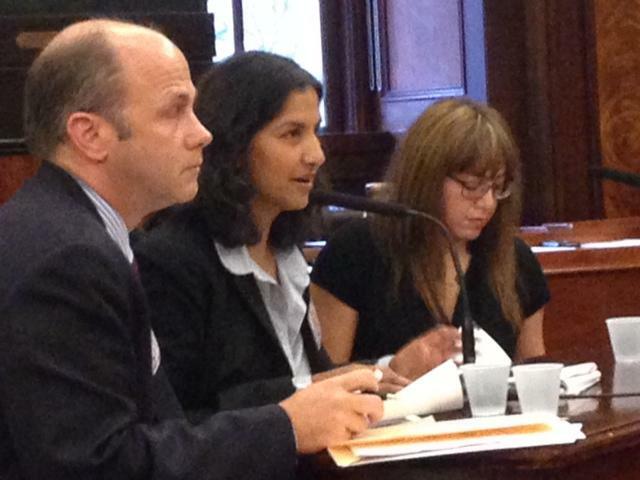 Sheelah Feinberg testifying at a public hearing conducted by the Health Committee of the New York City Council. Good morning and thank you Council Member Arroyo and members of the Health Committee for the opportunity to speak today. My name is Sheelah Feinberg, and I am the Executive Director of the NYC Coalition for a Smoke-Free City, a program of Public Health Solutions. The Coalition is a public health advocacy group that has worked with over one hundred health and youth focused community groups across the five boroughs to raise awareness around tobacco control and prevention. We support neighborhood efforts for long-term change and believe that all New Yorkers have the right to breathe clean, smoke-free air where they live, work, and play.